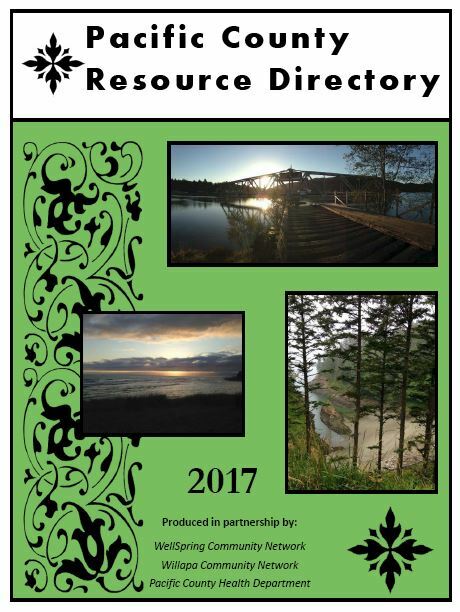 The resource directory is intended to be a comprehensive and up-to-date listing of local agencies, with their locations, contact info, and services. This directory is a collaboration among Willapa Community Network, WellSpring Community Network, Peninsula Poverty Response (PPR), Teen Advocacy Coalition (TAC), and Pacific County Health Department. ​Willapa Community Network is always looking for volunteers to form new partnerships with that will strengthen our community.